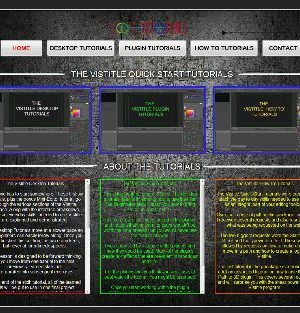 A comprehensive tutorial of the titling and graphics program, VisTitle. The “how to” tutorials – a series of 6 tutorials on how to make certain types of title from scratch. 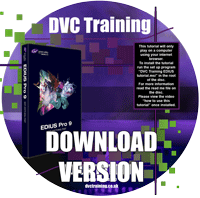 One of the latter tutorials is available for free from the SGDV website. This free tutorial is about 26 minutes long an describes how to take a couple of images and turn them into a 3D coin, with animation inside of VisTitle using the 2D to 3D plug-in. The tutorial consists of several movies which cover a variety of different topics. Each movie is stored as an MP4 file and should play in media player on your computer. 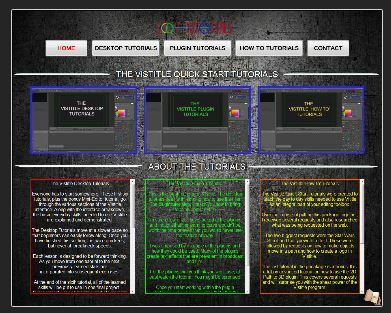 The tutorial menu will guide you to which video clip you would like to watch and explain the differences between them. Once you have chosen the clip you want to watch you simply click on the link and the clip opens in Media player which you can resize and move wherever you want. The menu interface will completely take over the main screen but it is easy to move it to a second screen if you prefer. 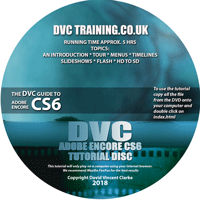 Details on how to do this are all supplied with the tutorial or you can just ask us at DVC. One of the reasons the tutorial has been made in this way is so that the clips can be supplied at the best quality possible. All the movies are full 1920×1080 HD and encoded to make sure the picture is the best achievable. There are also 1280×720 HD MP4 files on the pen which you could transfer to a tablet and watch on that while using VisTitle on your main computer. The menu system of the tutorial will not work on a tablet but the movie clips will. Where can you copy the tutorial files? 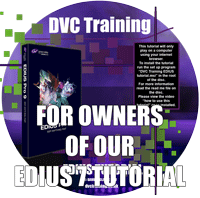 When you buy this tutorial you are allowed to copy the files to your pc and also to a tablet as mentioned. However, they are for your use ONLY. Please do not distribute them or upload them to any websites such as YouTube. Please do not distribute copies of the tutorial to friends. You will be breaking the licence agreement in doing so. A lot of work has gone into creating the tutorials and unless people buy them instead of stealing them through illegal copying there will not be any more tutorials in the future.